Much like last year, I decided to start this year’s Halloween Horrors series off with a piece from a debuting contributor. Not only do I think it is a nice way of showing new writers to this series that they are appreciated just as much as our returning contributors, but also helps make each year’s series seem that much more “new”. Please welcome Jennifer Upton to this year’s Halloween Horrors series. An American now living in London, Jennifer is a blogger and ghost writer of autobiographies. After a career in broadcasting, Jennifer moved to the UK to pursue an MA in Japanese Studies. A lifelong horror fan, much like the rest of us, Jennifer runs the blogsite Womanycom.wordpress.com, but has also contributed reviews to sites such as LoveHKfilm.com and (our friends) BAndSAboutMovies.com. Be sure to catch Jennifer’s articles on 1975’s The Legend of Bigfoot and 1976’s Naked Massacre for BAndSAboutMovies.com‘s “Chilling Classics” series this November! 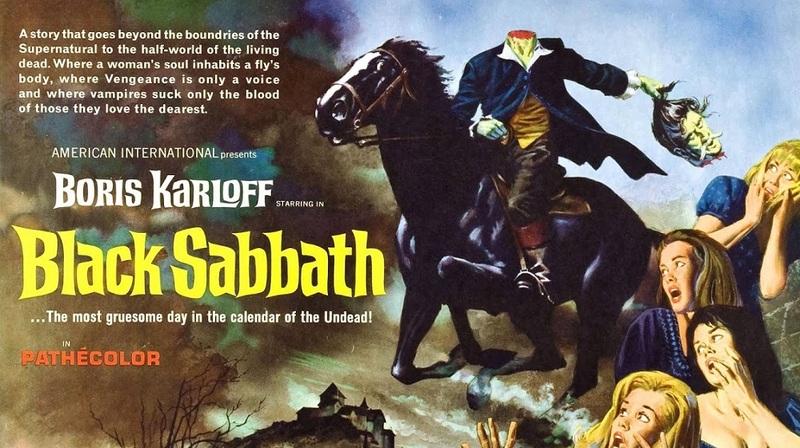 For her debut Halloween Horrors post, Jennifer takes a look at Mario Bava’s 1963 anthology horror classic, Black Sabbath! Much like a few other contributors, Jennifer examines what the film means to her and why it has remained so close to her for all these years. And really, that’s what this series is all about! I was born in a small town in Central New York State, near the Canadian border. The winters were long there and frequently began in mid-October at the height of the Halloween season. Growing up in the 70s, there was no internet or video games to keep kids occupied. Having been born to teen parents, my family had little money for days out, and I was an only child so I had no brothers and sisters to play with. Consequently, I watched a lot of TV on my own with no one to join me save for my only friend, Little Teddy, a small button-eyed yellow and white teddy bear that I carried everywhere for a few years. In those days, many local television stations still had horror movie blocks hosted by local talent such as Vampira and Svengoolie. 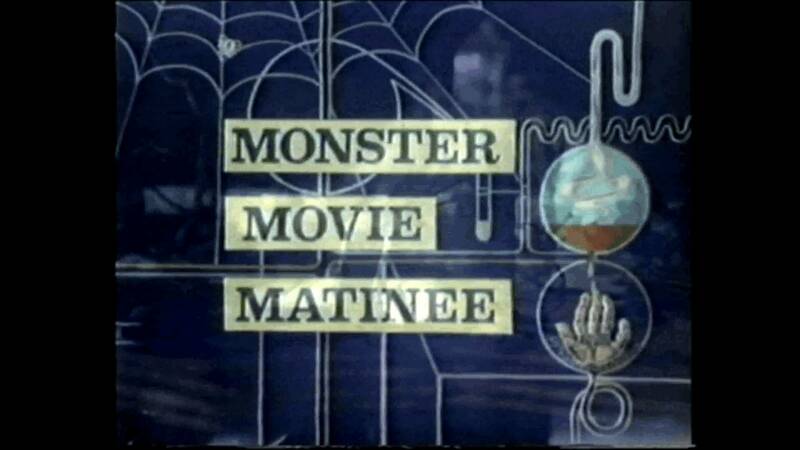 From 1962-1980 the beloved Monster Movie Matinee aired on WSTM-TV3 on Saturday afternoons. Hosted by mad scientist Dr. E. Nick Witty (Alan Millair) and his gimpy, eye-patched lab assistant Epal (Bill Lape), it was required viewing in many area homes. Despite being just seven years old, the films they ran never really frightened me. They mostly showed the old Universal black and white films and I liked all the monsters and giant bugs. One Saturday, the show ran Mario Bava’s Black Sabbath (1963). I had no idea what I was in for. At first, I was excited to see Boris Karloff because I was a big fan of his voicing of the animated version of How The Grinch Stole Christmas and the Frankenstein films. I sat down cross-legged, as I always did, on the red carpet hugging Little Teddy on my lap. Boris’s distinct delivery filled our small living room. Standing in front of a purple backdrop. he introduced the first of the three stories, “The Telephone.” The plot involved a woman receiving threatening phone calls from a ghost and wasn’t very scary. Actually, it was kind of boring from a kid’s point of view. There were no monsters and the entire segment took place in one small room. Meh. Next, he introduced the second story based on the work of Anton Chekhov, “The Drop of Water.” The segment began with a nurse named “Helen” being called to dress the corpse of a rich elderly medium for whom she provided care in life. So far, it was nothing I couldn’t handle. When Helen arrived at the medium’s house, suddenly it got scary. Very scary. First, the body is shown in a wide-shot lying in slumped position on the bed surrounded by meowing cats. Abruptly, the camera zooms in – accompanied by a well-placed musical sting – to reveal the most horrible face I had ever seen in my entire life up to that point. 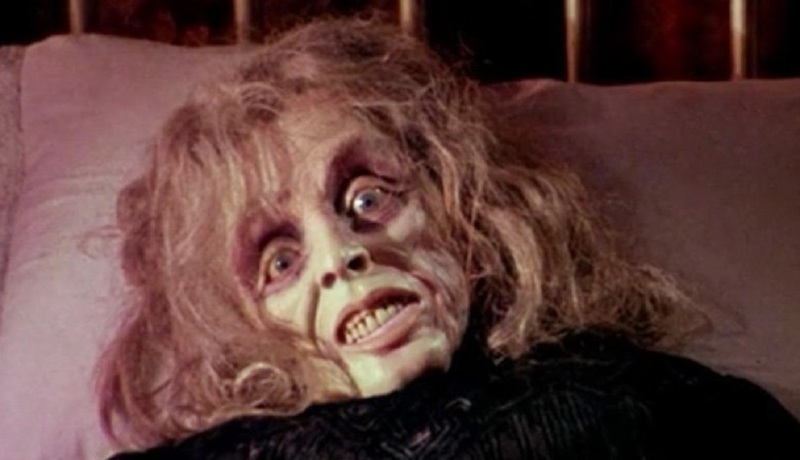 Complete with the requisite ratty crazy-old lady-hair, the corpse’s grisly clench-toothed stare terrified me. The expression can only be described as a combination of sadness and fear. Her glassy eyes were wide open. It was the first time I had seen this in a movie and the implications disturbed me. The thought that people could die with their eyes open had never once before occurred to me. Up until then, I thought that when people died it was just like they were sleeping. The nurse in the film was just as alarmed as me and closed the dead woman’s eyes with the palm of her hand. In the very next cutaway, they were open again. I began to sweat. Poor Little Teddy was shaking in my clammy hands. A housekeeper explains to Helen that the medium died during a séance while in a trance. Despite this warning, greed gets the better of Helen and, once alone with the corpse, she steals a valuable-looking ring from the medium’s index finger. Almost immediately, strange things start to happen. A glass of water falls off a table. Drip…. drip….. drip… echoes on the film’s soundtrack and a buzzing fly lands on the exact finger where the ring was removed only moments before. Visibly shaken (and obviously now cursed), Helen finishes the job and returns home to enjoy the rest of her quiet evening. A pulsing light blinks on and off from outside the window. She begins to notice a sound. Drip… drip… drip… The sequence slowly builds the tension until, after investigating every possible source, she is finally driven completely mad with terror when confronted by the corpse of the dead medium rocking back and forth with a cat on her lap in a chair in her bedroom. Slowly, the corpse rises and moves towards her, extending its arms as the camera pushes in on its hideous, uncompromising face. The next morning, Helen is found dead, having choked herself to death. On her face: an expression of abject fear. On her finger: a small injury in place of the stolen ring. I breathed a sigh of relief when it was over. It was the scariest movie ever. The third story was a bit of relief, but also very good. “The Wardalak” features Boris in the lead role as the patriarch of a family who, after having gone out to hunt a known vampire, returns past the appointed time. At first the family is reluctant to let him in, having been warned not to as he would now surely be one of the undead, but they ultimately relent. Of course, Grandpa isn’t Grandpa anymore. He uncharacteristically orders his favourite dog to be slaughtered for barking at him and later bites his favorite grandchild, a rather creepy looking little boy who becomes even creepier after his own transformation. The scene where he sits outside the family’s house and begs to come in from the cold is chilling. “The Wardalak” is filled with terrific performances and a foreboding sense of tragedy born of filial piety. 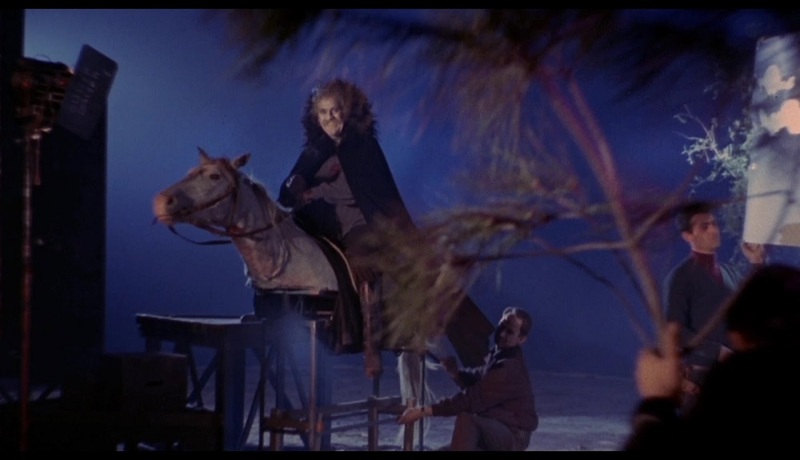 The film ends with a revealing shot of Karloff riding on a pretend horse on the movie’s sound stage. I was blown away. The corpse in the second story gave me nightmares for a good long while. About a year later, while visiting my grandparents, the film was aired again. When the scenes with the corpse came on, I left the room to get a drink of water. Rest assured, I took care to turn the tap off completely lest the spirit of the old medium come for me. As I grew up, horror and science fiction became a lifeline to me. When my parents divorced, my father joined the Army and I didn’t see him for almost two years. He suffered from mental illness and would often write long lamenting letters. With one came a subscription to Fangoria magazine, and I began to learn all about the genre and its masters, including a bit about Bava. As the years passed, I could no longer remember the exact name of the story and I came to erroneously refer to it as “The Ring”. It was not until I was in my early 20s when I re-watched it for the first time that I realized my error. I was amazed at how well it held up. Even as an adult, it still scared me. 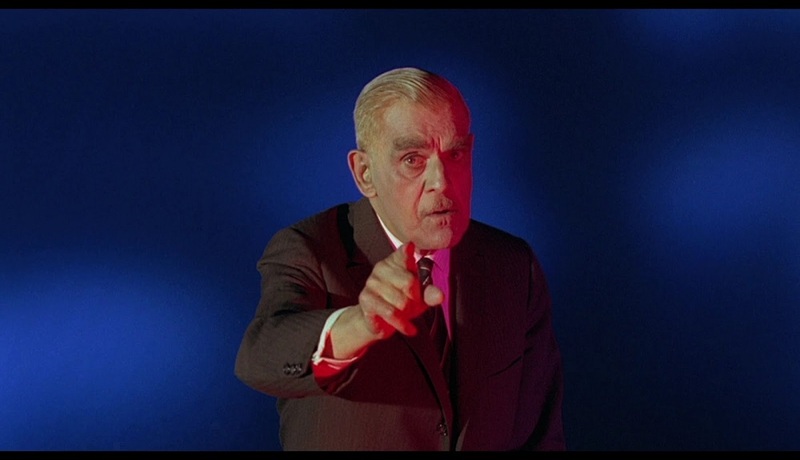 Now a film and television student, I was especially impressed with the camera work and lighting techniques utilised by Bava. So began my quest to seek out all of his films on VHS (most of which I found at Fangoria’s Weekend of Horrors and Chiller Theater weekends in New York and New Jersey) for study. I eventually found a copy of the Italian cut of the film with Boris dubbed into Italian and the stories presented in a different order. I still prefer the American International version. I would eventually get a job at the very TV station that aired Monster Movie Matinee and was honoured to work with some of the same people who produced the show. I even made a (terrible) short horror film of my own based on the works of H.P. Lovecraft with Dr. E. Nick Witty himself in the lead. A few years later I moved to Los Angeles. I settled there for 15 years. In the late spring of 2002, the American Cinematheque at the Egyptian Theater on Hollywood Boulevard held a retrospective of Bava’s oeuvre titled The Haunted World of Mario Bava. They screened 15 of his films, all from restored, uncut 35mm prints with few exceptions. It was the first such honoring of his work in the U.S. and my partner and I got tickets to see as many of the films as our schedules would allow. The new print was gorgeous. Seeing the film on the big screen allowed the audience to see detail within the darker portions of the frame previously unavailable on even the best TV in a pre-4K world. I was more impressed than ever with the overall effectiveness and the tragic endings of all three stories. At that moment, I reflected on how far I had come in life. I started out a kid from a small town with no money. I practically raised myself. I went to college, got a job, moved away, and got an even better job in L.A. Now, here I was sitting three rows behind one of my favourite directors watching a movie that probably scared the Hell out of us both. I couldn’t have been happier. It is now 2018 and I live in London. Black Sabbath is now 54 years old. It’s available on Blu-Ray in both the Italian and AIP versions. It remains one of Mario Bava’s strongest films overall and it’s still one of my all-time favourite horror films. I thought this was very good and a great choice to start off this years reading. “Black Sabbath” is among one of my favorites as its thrill and chills are something to be glorified!